I loved looking at these images when I was at school dreaming of getting my first synth and these guys looked sooo cool. Hans Zimmer didn't do to badly did he? One of the most in demand film score composers around and Warren Cann had the odd hit or two with Ultravox (so glad that they've got back together and there's a new album on the way). 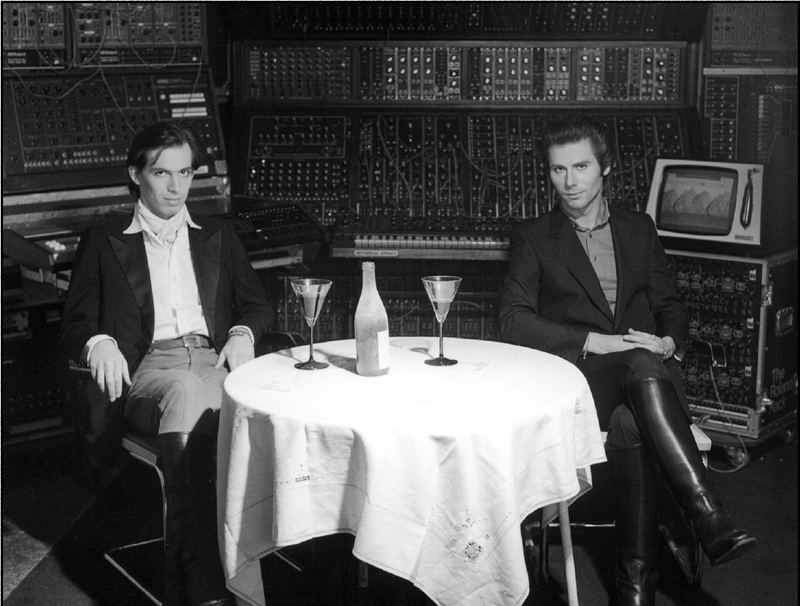 I'm guessing the pic below would have been a publicity shot for Helden, their pop project, they did an interview and played some songs for Radio 1 on a Saturday afternoon, I did record it on an incredibly crap cassette which has since shredded - Gutted! 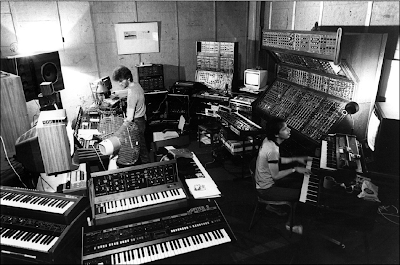 This pic below is probably Hans' London studio back in the late 70's, early 80's when he was doing jingles, again, look at all the lovely gear and notice how small his rack of Roland System 100m's are. 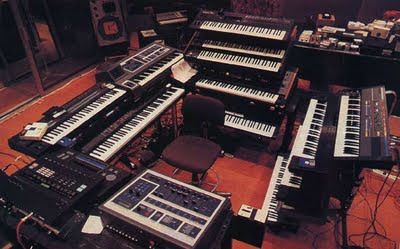 He since went on to buy the entire stock from Roland when they discontinued them for peanuts. And this is Vangelis' set up when he was recording his album "Direct"